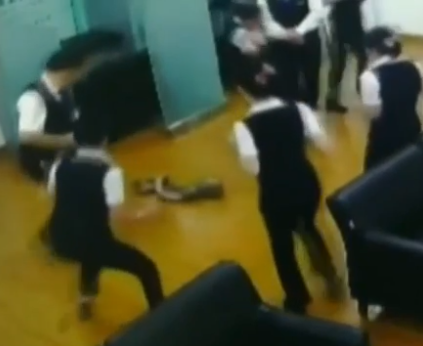 WATCH: PYTHON DROPS FROM BANK CEILING! A 1.5 metre long python surprised bank staff when it dropped from the ceiling. The python reportedly entered the Xin Cheng branch of China's Industrial and Commercial Bank in Guangxi Zhuang and dropped down between two employees. In the video, staff can be seen running away as the python dropped on the floor.